JOHNSTON, R.I., USA—Thomas A. Lawson, president and chief executive officer of commercial and industrial property insurer FM Global, has been elected chairman of the board by FM Global’s board of directors. Lawson, who joined the mutual insurance company in 1979, succeeds Shivan S. Subramaniam, who served as board chairman since 2002. Subramaniam also was FM Global’s chief executive officer from 1999 through 2014 until his retirement, at which time Lawson was named to the position. 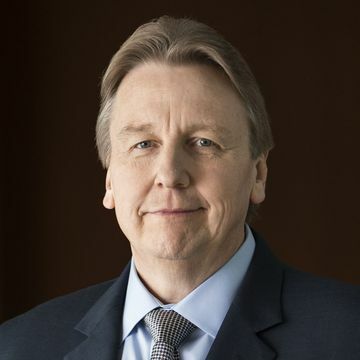 During his career with FM Global, Lawson, a recognized expert in industrial manufacturing risk, has served in a variety of managerial positions, including executive vice president; senior vice president, engineering and research; vice president, operations manager – forest products; field vice president and operations underwriting manager; regional engineering manager; and operations manager. He is a graduate of Illinois State University, Normal, Ill., USA, where he received a bachelor’s degree in occupational safety. He is a member of the board of directors of the National Fire Protection Association (NFPA).